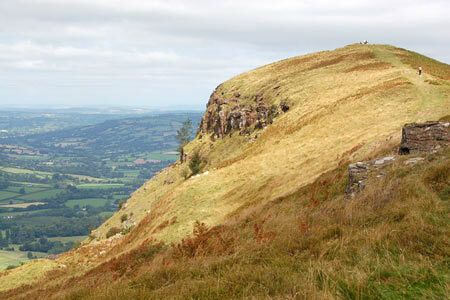 The Skirrid (Ysgyryd Fawr) is a solitary hill rising from the countryside to the east of Abergavenny. This walk takes the most direct route to the summit and includes a steep ascent. The return route takes through pleasant woodland on the western flank of the hill. A GPX File is available for download (see walk description).